1. Click on the Forgot Password link on the login page. 2. Enter your email address then click Submit. 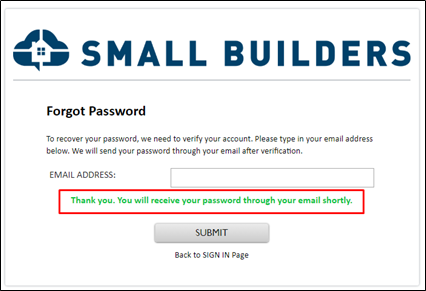 You would be notified that your password is sent through your email. 3. Check your email. 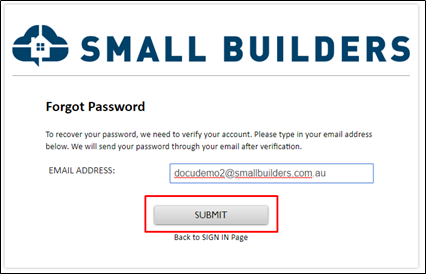 Click on the Small Builders Portal Password Recovery one. The email contains your account’s username and password. 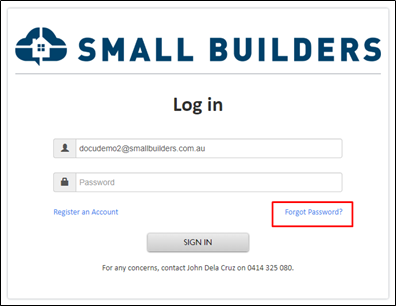 Use it to login in Small Builders.